At dk Foodservice Solutions, LLC, our Management Development process begins with a senior management team meeting. We want to know from the senior management what their concerns are and where they would like to see changes made. The onsite Operational Assessment is usually scheduled for 1 – 2 weeks following the preliminary meeting with the senior management team. The Operational Assessment typical takes 5 days. We schedule 2-3 full days onsite observing each area of service and interviewing departmental staff, house staff and residents/patients. We utilize a checklist of characteristics we are looking for; from Daily Staffing Assignments and Accessibility to the Receiving Dock, to how a plate is presented to the resident. Supporting the checklist are our observations and comments intended to provide context for our conclusions. 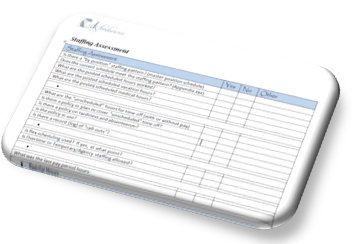 Analysis and preparation of the report often require follow-up questions and may lead to additional interviews. We plan 1-2 days for the writing of the report to be presented to the senior management team. Review of the final report is scheduled for the 5th day with a formal presentation. This is intended to be a working session to offer our conclusions and recommendations, and to gain consensus on the goals with senior management. Once the direction and expectations have been set, measurable objectives will be written to reach the desired goals. The Operational Assessment is a comprehensive tool we utilize to ensure that the underlying foundation of the department is working well before starting a new project. Please contact us for information on how to address your Foodservice Department performance concerns.